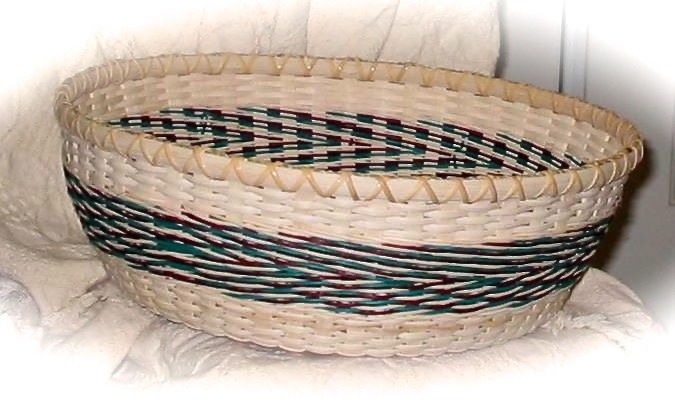 ARROW BOWL-This striking basket has lots of texture. It is woven with flat oval and the round reed arrow design adds a tweedy look. The finished size is approximately 17" across and 6.5" high.